There is and always has been an undeniable link between Kiwi’s and their love for hot chips. From summers on the beach, to Friday night family traditions – the love is strong and it shows no sign of slowing down. Chips are innately celebratory, comforting and almost always delicious and for most New Zealanders they hold a pivotal place in hearts, stomachs and weekly (sometimes even daily!) diets. As far as snacks go – hot chips come up again and again as the unanimous favourite. But with our country in the throes of an obesity epidemic – the implications of their extensive consumption, particularly when poorly prepared, has the potential for dire consequences and an unnecessary consumption of fat. But the good news is – thanks to the Chip Group it doesn’t have to be this way! Over fifteen years ago the Chip Group training concept was created by Glenda Gourley (Potatoes NZ) and Judith Morely John (Heart Foundation), as a means to improve the nutritional profile of deep-fried chips, increase the quality of the fish and chip industry as a whole and keep potatoes at front of mind for consumers. Fast forward to today and our concept is still the same – to improve the health of New Zealanders by upskilling operators to cook better tasting, lower fat chips. But what has changed is an even greater need for our service and the role it now plays within the NZ food industry. 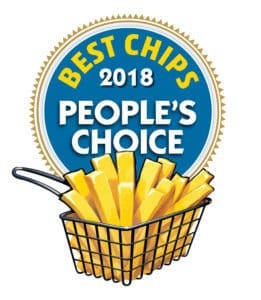 With consumption figures hitting around 4 million servings of hot chips every single week – there is no stopping our love for deep-fried potatoes. But consumer awareness, expectation and demand for healthier options is evident, and is now at the forefront of every public health campaign – as it should be. 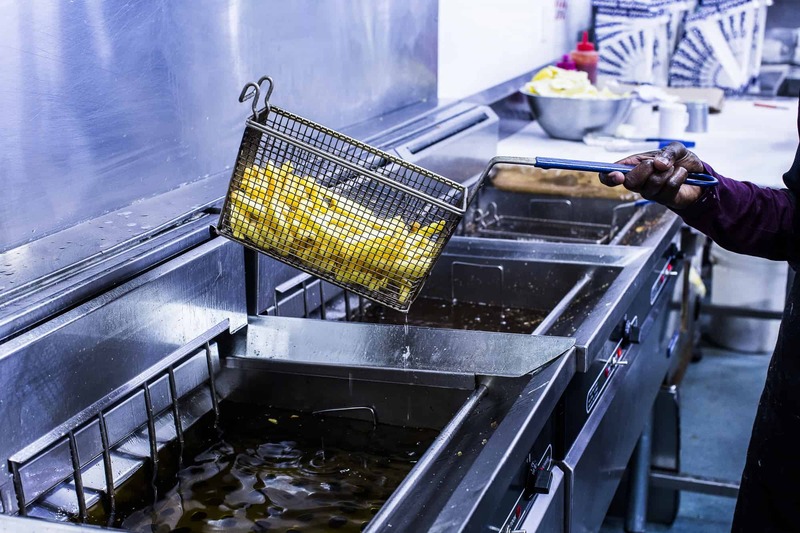 By simply controlling the way in which chips are prepared we can significantly reduce the total fat content in a serving, and in turn improving the health of New Zealanders. Based on our 2013 Matamata Town Makeover – we know our training works. During this case-study we proved that 10 operators, who made slight changes to their frying techniques, would be able to remove 1711kg of fat from the local Matamata food supply (over one year) – which is equivalent to three trailer-loads full of fat! Our training concept is about small changes that accumulate to big population-wide improvements. Throughout the industry today we see operators, businesses and suppliers all looking at ways to improve, broaden their offerings and provide healthier alternatives. And luckily for us, more often than not, this ends in them seeking out our FREE online training service. But in order to continue to evolve we need a pan-industry approach from the bottom up, consumer-driven pressure, through to the top-down, corporation commitments. If you see an opportunity for Chip Group training – let us know. Or if you would simply like to learn more about what, how and why we do what we do – jump over to our website and see for yourself. The more impact we make, the better for everyone. That way we can have all our chips and eat them too. For further information, visit our event page.